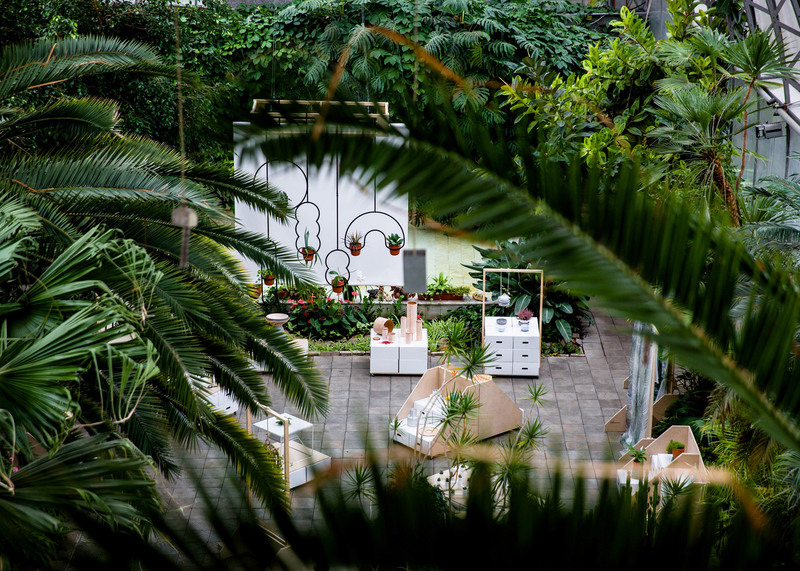 The project was set up by curator Tatiana Kudryavtseva and product designer Yaroslav Misonzhnikov, who set a brief for products that could re-introduce nature to urban apartments. 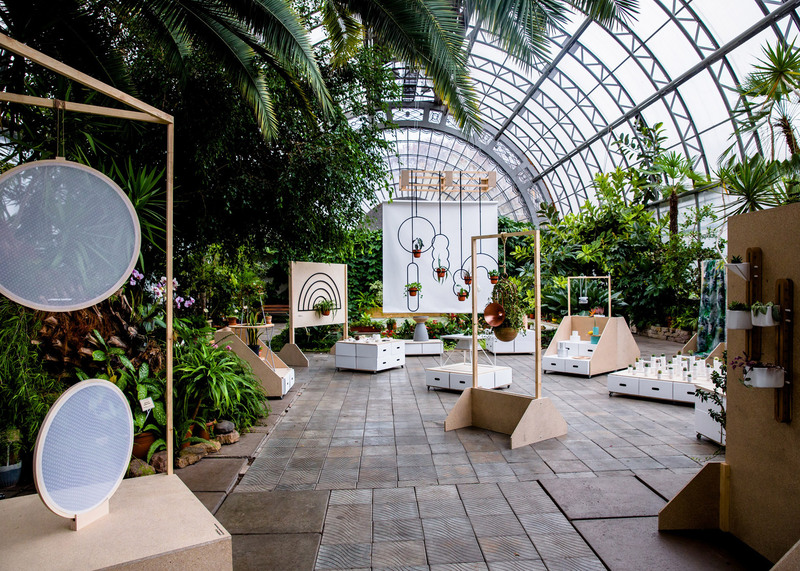 "The role of daily communication with nature and the important of feeling connected to natural rhythms cannot be underestimated," said Kudryavtseva. 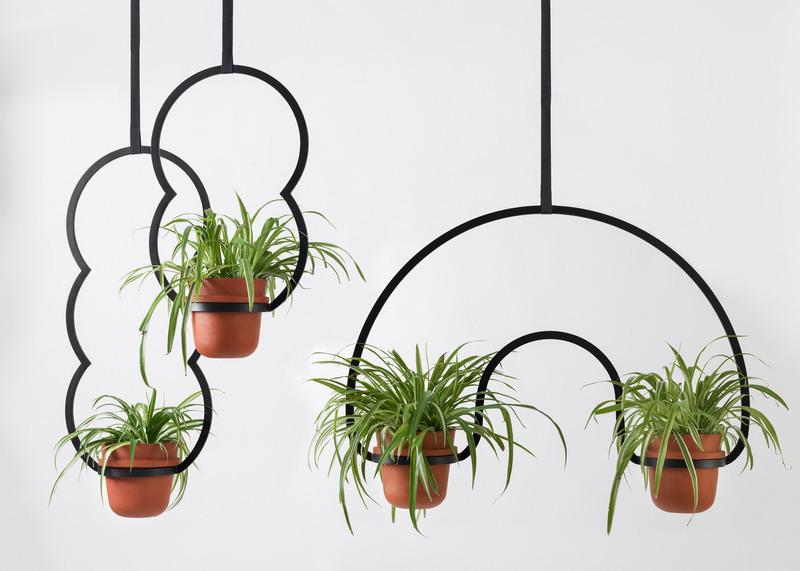 The collection of 18 products ranged from hanging and wall-mounted planters, to furniture made using natural materials such as bark and marble. 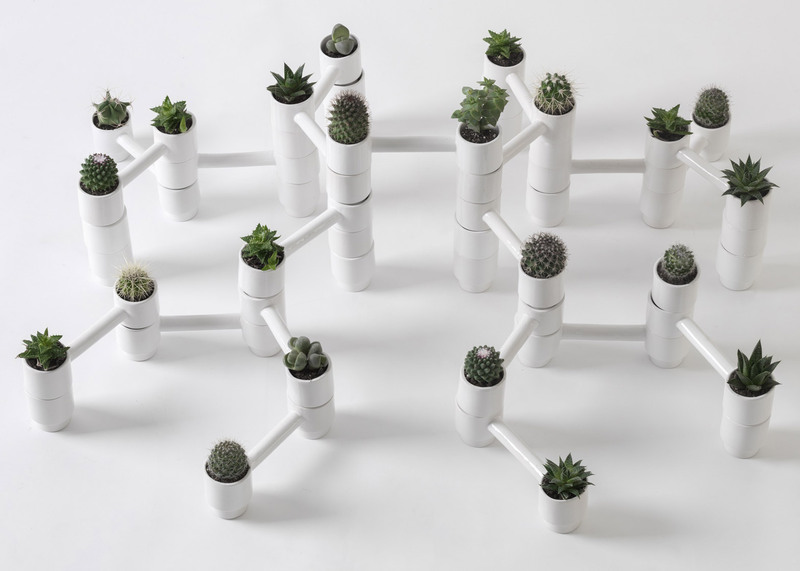 Alexander Kanygin's interconnecting ceramic Ferma modules can be used to create a miniature cactus garden, while Katerina Kopytina's metal hanging planters encourage city dwellers to add greenery to their apartments. 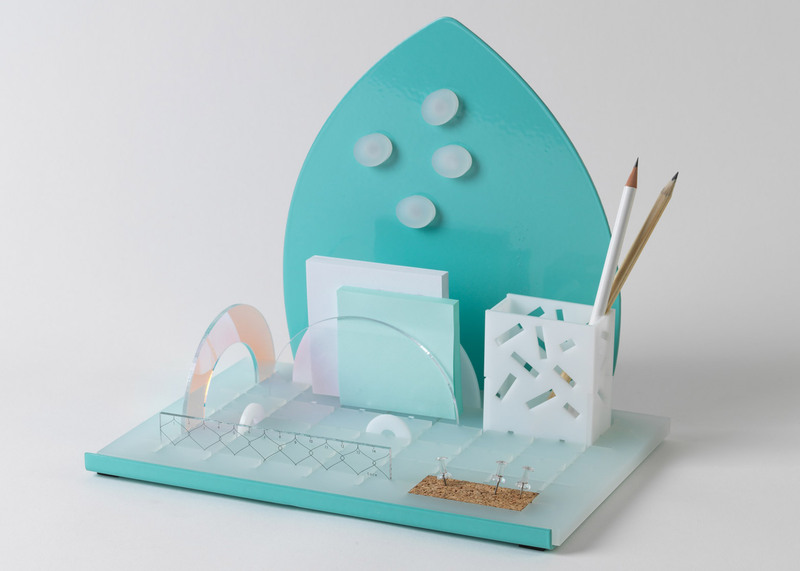 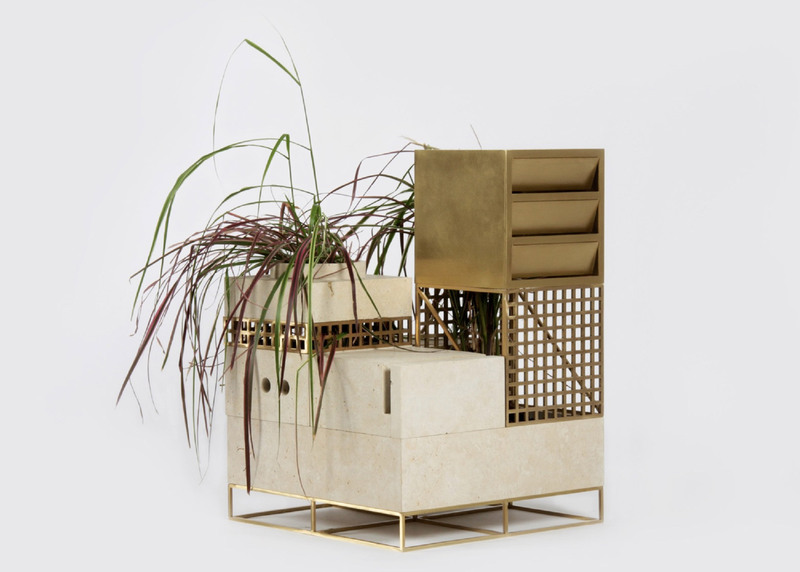 "Designers were welcome to enjoy freedom of sources, expression, media and typology as long as the final object captures nature at a city home in the aesthetics and functionality of contemporary design," said Kudryavtseva. 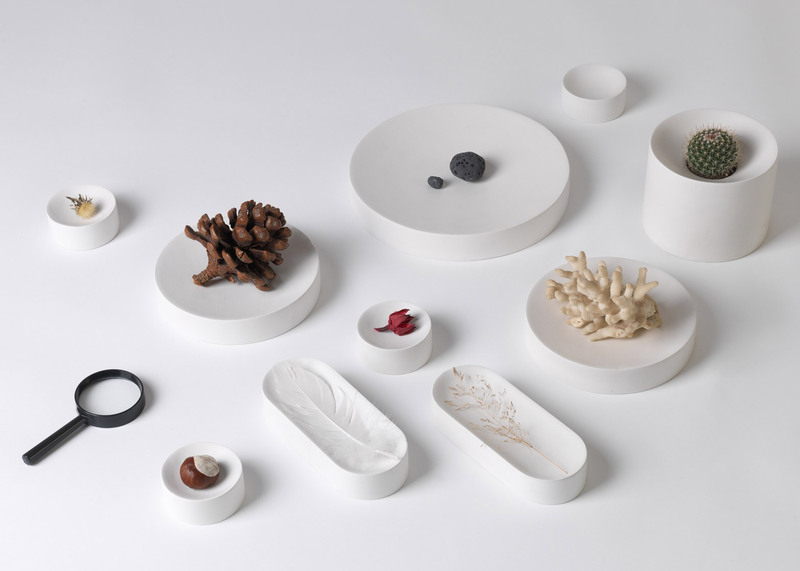 "Inspirations varied from nature as such to nature on a planetary scale, relations of nature and architecture, traditional materials in a contemporary context and visual technics for emotional unity with nature." 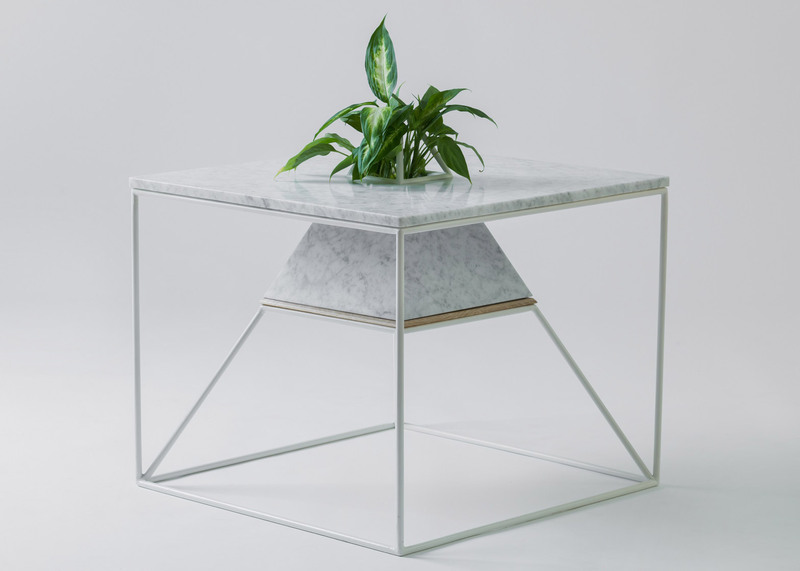 Sveta Gerassimova designed textiles with "hyperrealistic images of exuberant foliage", and Maxim Scherbakov created marble coffee tables with integrated triangular planters. 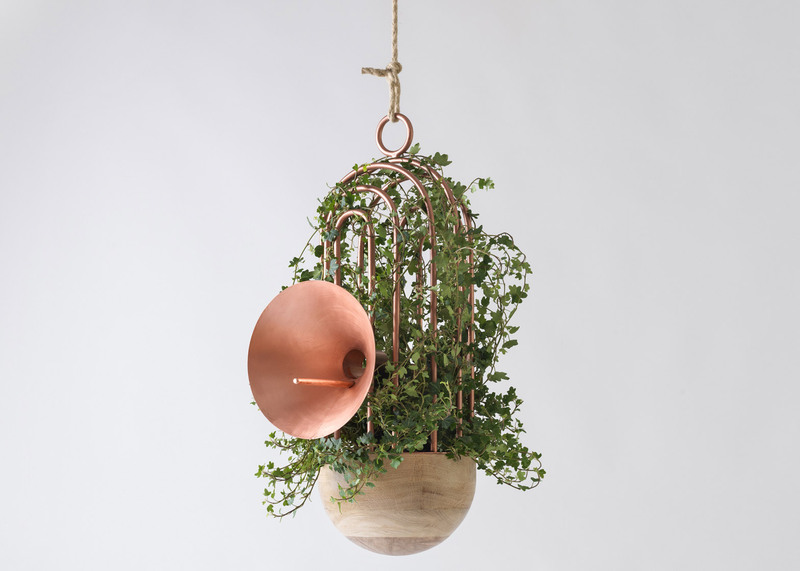 The Orator bird feeder by Katia Tolstykh includes a cage that is gradually transformed into a nest as the plant grows, and a copper speaker designed to enhance the sound of bird song. 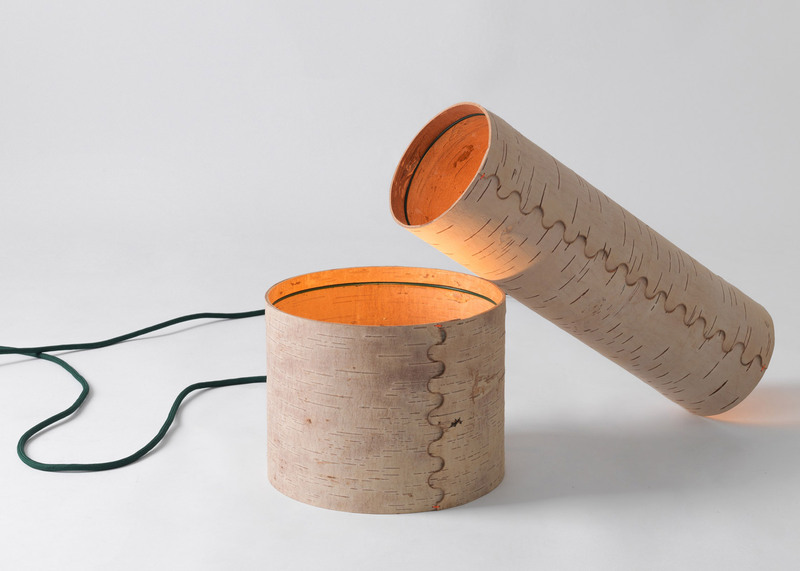 Birch bark features in light shades designed by Anastasiya Koshcheeva – which have been joined together using traditional glueless craft methods – and storage containers. 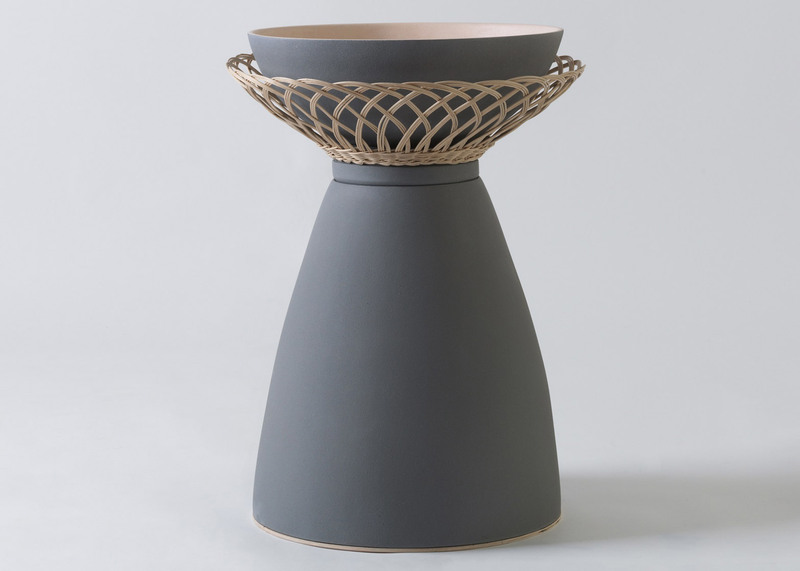 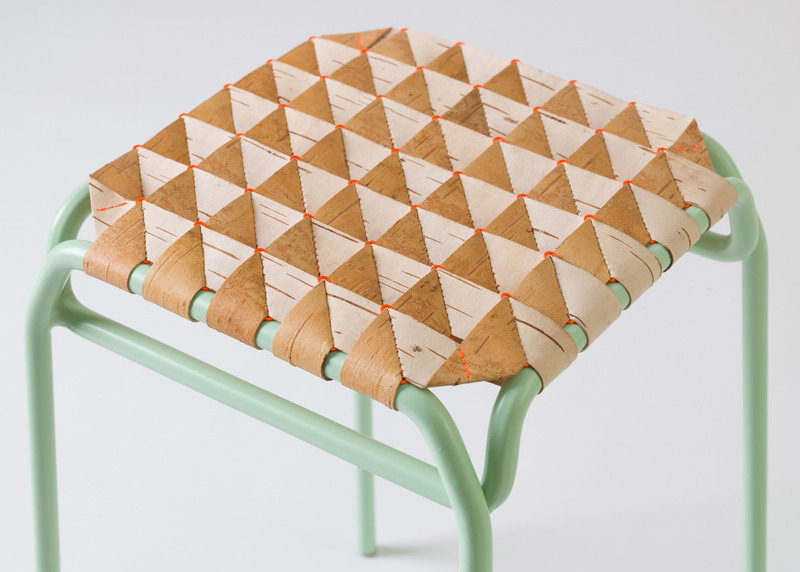 Koshcheeva also wove strips of birch together to create the seat of a wood and metal stool. 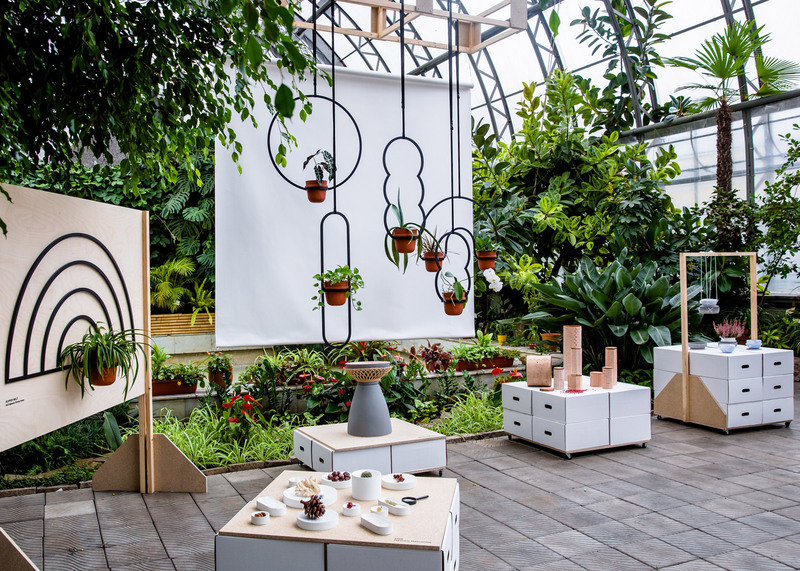 The exhibition was shown at the Orangery of Tavrida Garden in St Petersburg, Russia, from 22 October to 22 November 2015. 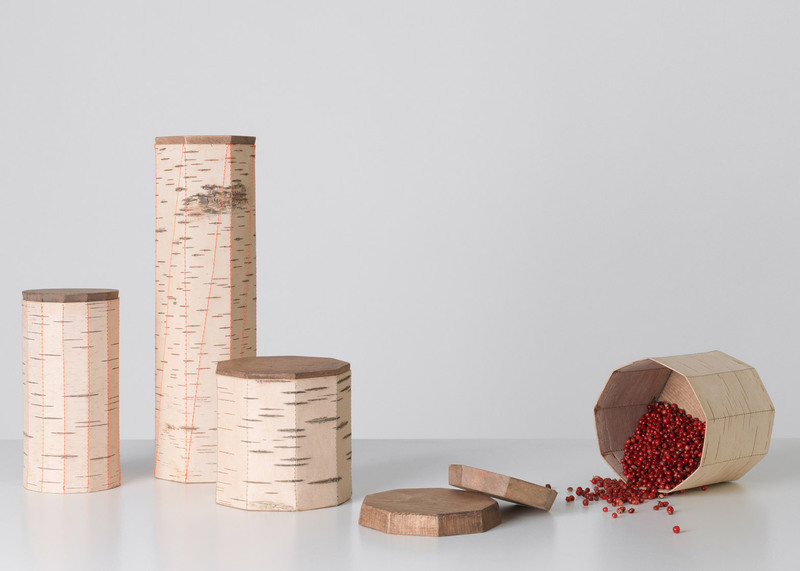 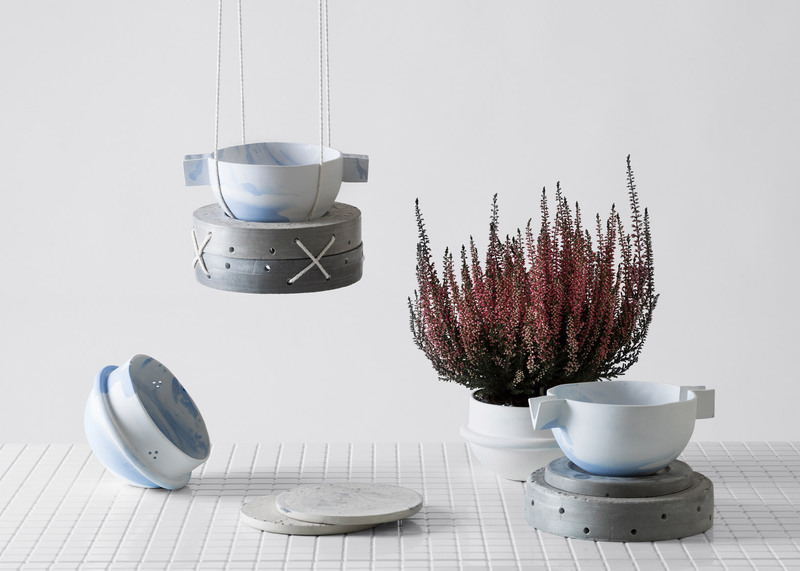 The products are also set to be shown at Stockholm Design Week, from 9 to 13 February 2016. 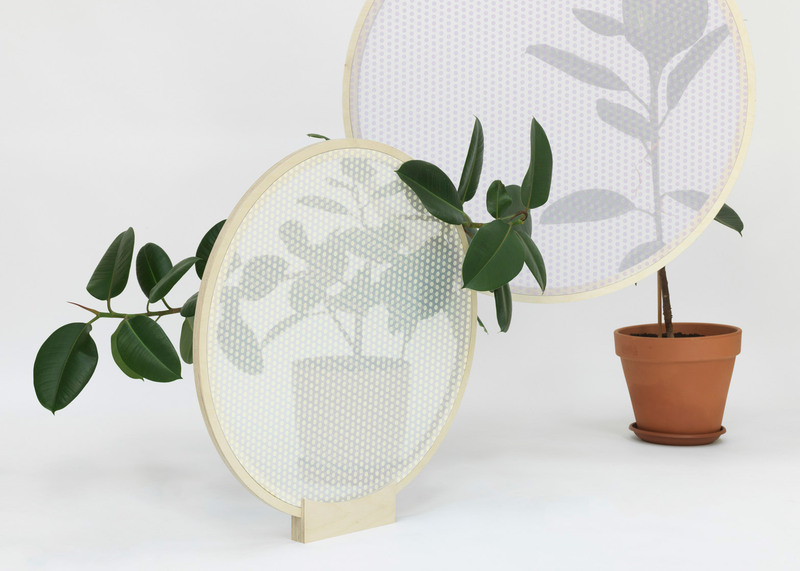 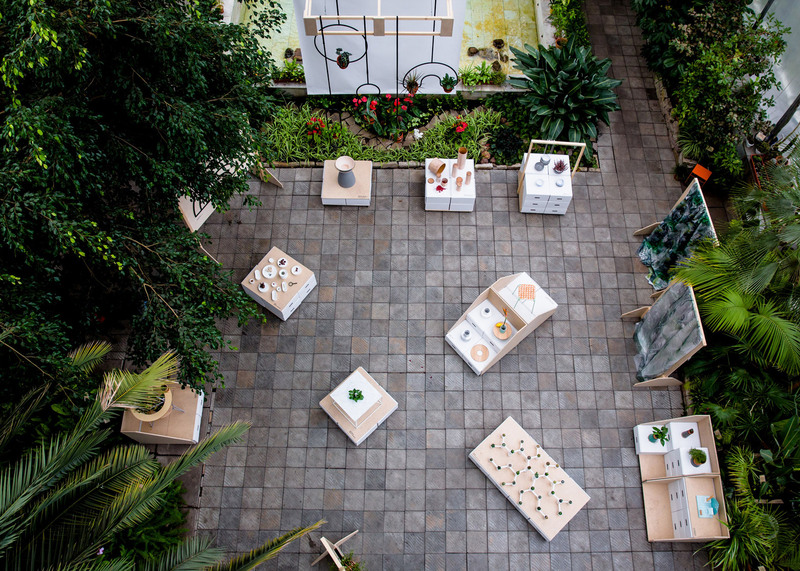 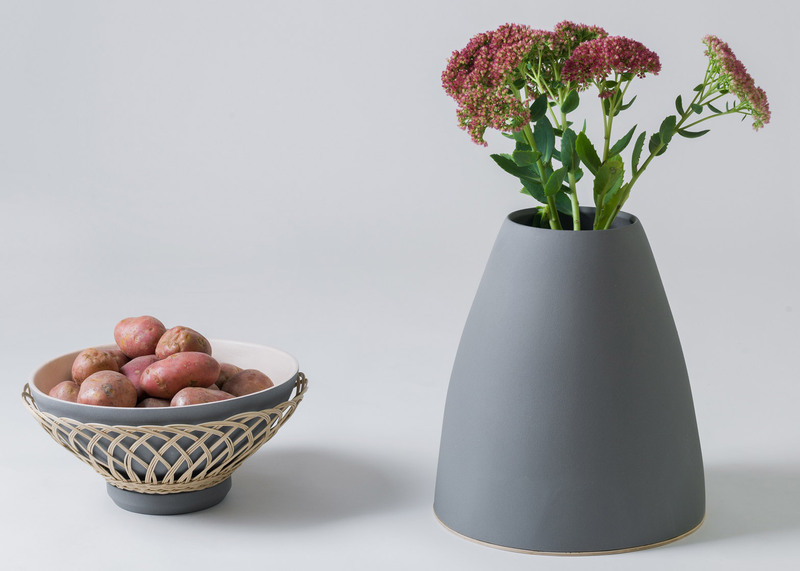 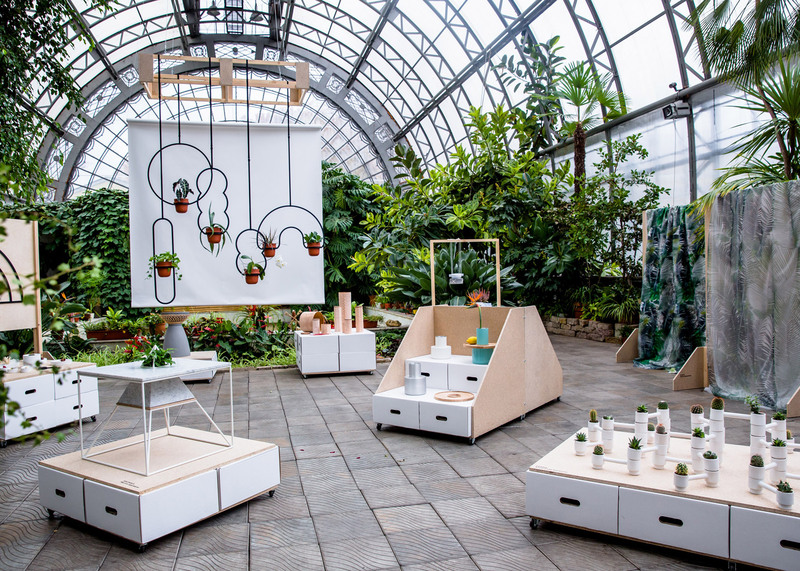 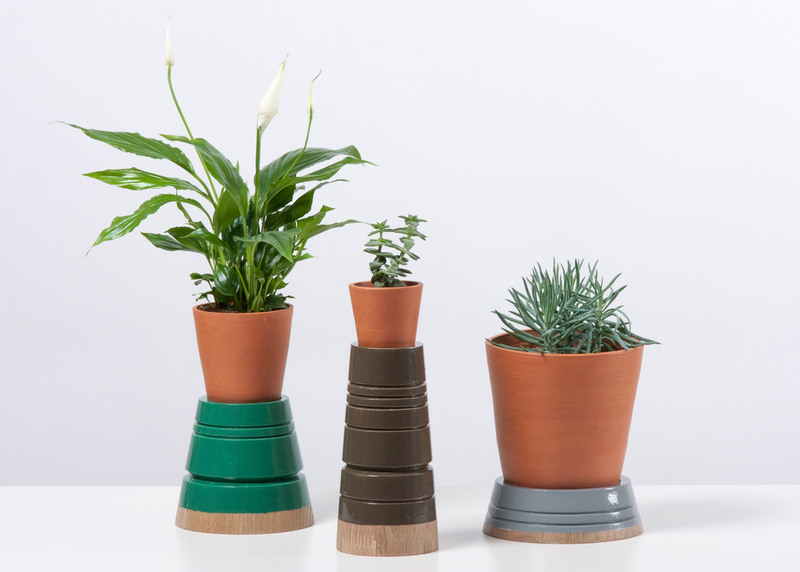 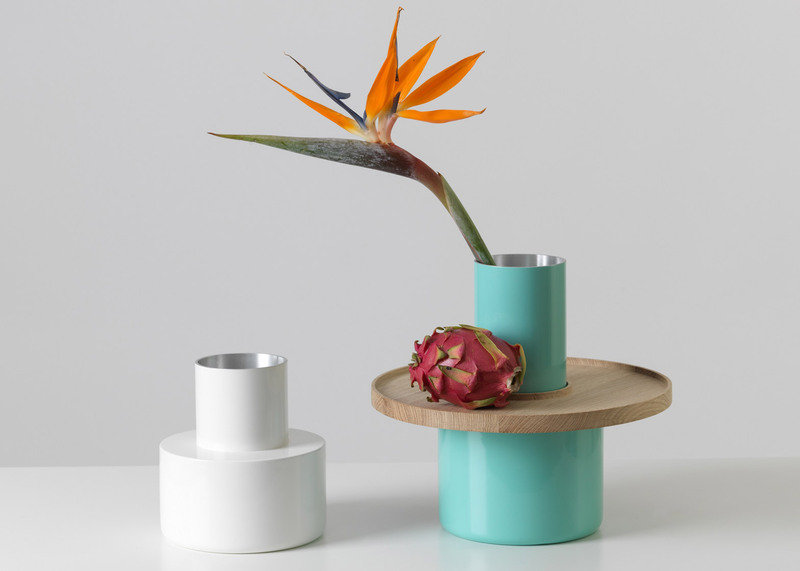 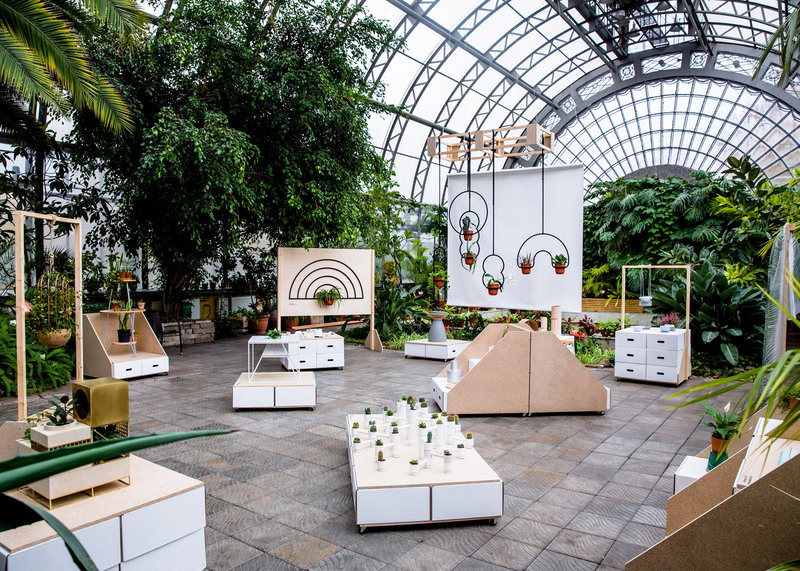 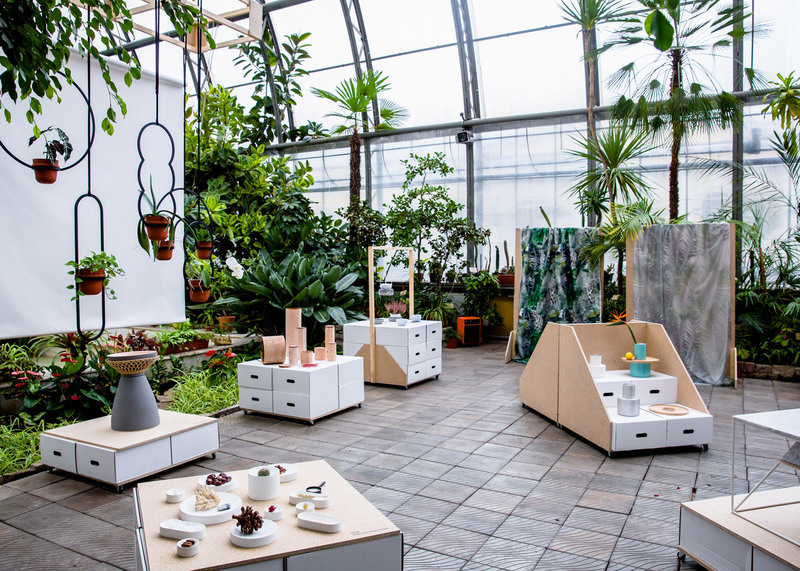 Other designers that have incorporated plants into their work include Kristina Dam, who created oak furniture with hidden compartments for greenery, and Tim van de Weerd, who designed ceramic plant pots that rest on spider legs. 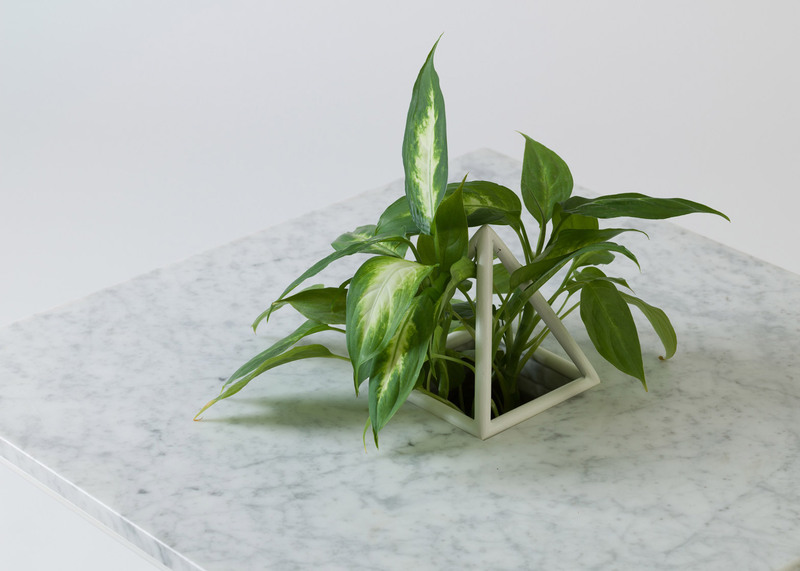 Photography is by Crispy Point, unless otherwise stated.